Transitional style great for entryway! 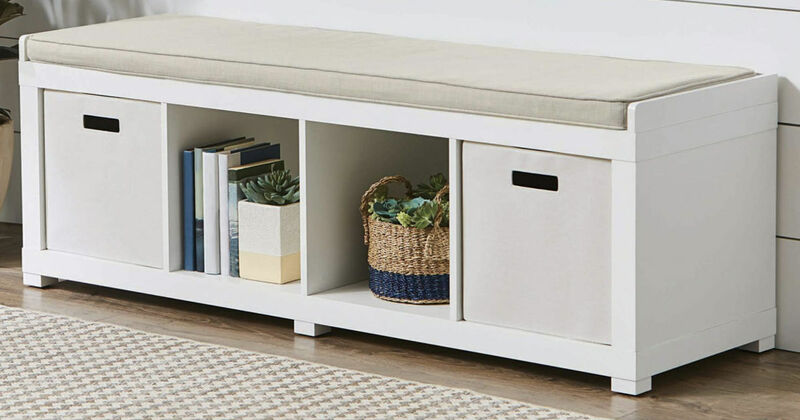 Walmart.com has this Better Homes and Gardens 4-Cube Organizer Storage Bench in white for only $59.99 shipped (Regularly $100). Versatile design creates multiple storage & extra seating!